DAVENPORT — Funeral services and a Mass of Christian Burial for Mary Kathleen “Katie” Grady, 86, a resident of Davenport, formerly of LeClaire, will be 10:30 a.m. Monday, October 15, 2018, at Our Lady of the River Catholic Church, 28200 226th St. Place, LeClaire. Burial will be at Rock Island National Cemetery, Arsenal Island. The family will greet friends from 1 until 4 p.m. Sunday at the Halligan McCabe DeVries Funeral Home, 614 Main St, downtown Davenport. There will be additional visitation at the church Monday from 9:30 a.m. until the time of service. Katie passed away Tuesday, October 9, 2018, at Marigold Rehab and Health Care Center in Galesburg, Illinois. 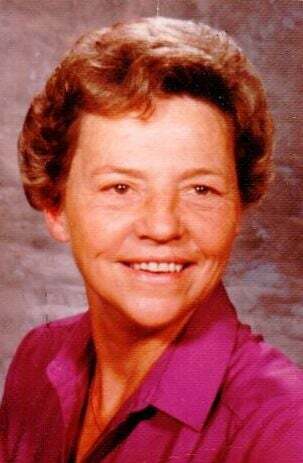 Mary Kathleen Strohman was born November 10, 1931, in Keswick, Iowa, a daughter of Leo Ambrose and Mary Agnes (Dunn) Strohman. She attended Marycrest College, Davenport. She was united in marriage to John Joseph Grady on August 4, 1956, at Holy Family Catholic Church in Davenport. They were blessed with over 62 years of marriage. She was a chemist for Deere & Co., retiring after 12 years. Katie was a former member of Our Lady of the River Church and Sacred Heart Cathedral. She was a Master Gardener and received the Master Gardener of Illinois Award in 2003. She had been a strong advocate for Assumption High School, and she was a generous supporter of the school and all sporting events. Most of all, Katie cherished time spent with her family. Memorials may be made to Our Lady of the River Church, Assumption High School or the Congregation of the Humility of Mary. Those left to honor Katie's memory include her husband, John; their children, John Patrick (Lori) Grady, Paxton, Illinois, Patricia Grady, Davenport, Timothy Grady, Texas, and Robert (Natalie) Grady, Chicago; grandchildren, Jessica Grady, Kristopher Grady, George Holoubek III, Samantha Holoubek, John Thomas Grady and Nancy Grady; great-grandchildren, Jessica and Shane Abshires; sisters, Sister Helen Strohman, CHM, Mississippi, Rita Strohman, Des Moines, and Sheila (Howard) Falk, New Jersey. She was preceded in death by her parents; daughter, Kathleen Marie; son, Thomas Joseph; two brothers, Joseph and Patrick; and a sister, Martha Flynn. Online condolences and remembrances may be expressed to the family by visiting Katie's obituary at www.hmdfuneralhome.com.